Home / FANTASY/SCI-FI / Sony Pictures Explores the Real-Life Science of "Passengers"
Sony Pictures Explores the Real-Life Science of "Passengers"
In anticipation of the US release of Passengers, Sony Pictures Entertainment is working with NASA to provide the film to the astronauts orbiting the Earth on the International Space Station. The film portrays the real-life possibilities of space travel, exploration of the universe, and finding a new home around another star. "In 'Passengers,' I play an interstellar traveler headed for a colony planet far from Earth," explains Lawrence in the PSA. "NASA is exploring our solar system and far beyond to look for what one day could be a new home away from Earth." At the movie's junket last Dec. 7, Tiffany Kataria, a NASA JPL scientist and expert on exoplanet exploration, and Dr. John Bradford, CEO of SpaceWorks, spoke to press about the current technologies being developed to make deep space travel a reality. This week, as the stars celebrate the World Premiere of Passengers in Los Angeles, the studio will provide NASA with the film to deliver to the International Space Station for the astronauts to enjoy in their limited personal time. Since 2015, the orbiting outpost has been equipped with a high-definition laser-light projector and a 65-inch (165-cm) viewscreen, which crew members have used to view video conferences and training exercises, as well as to watch TV programs and movies in their limited free time. 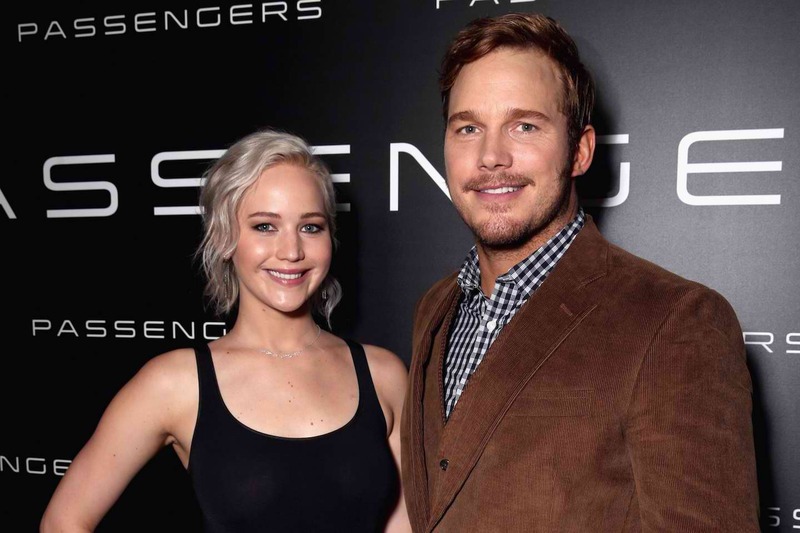 "Passengers" will be the latest movie set in outer space to also be viewed there. In addition, at the premiere in Los Angeles, former NASA astronauts Garrett Reisman, Michael Massimino, and Nicole Stott will walk the red carpet and help celebrate the film. Commenting on the announcement, Neal H. Moritz, a producer of Passengers, said, "The movie is about the very real possibility of traveling to a new home around another star. It's fascinating to discover the real science behind that – to see how astronomers are discovering exoplanets and finding ways that what we imagine could someday become a reality." Jennifer Lawrence (Aurora) and Chris Pratt (Jim) star in Passengers, an exciting action-thriller about two strangers who are on a 120-year journey to another planet when their hibernation pods wake them 90 years too early. Jim and Aurora are forced to unravel the mystery behind the malfunction as the ship teeters on the brink of collapse, jeopardizing the lives of the passengers on the greatest mass migration in human history. Directed by Morten Tyldum. Produced by Neal H. Moritz, Stephen Hamel, Michael Maher, and Ori Marmur. Written by Jon Spaihts.